Three recent polls show most Americans oppose what they know little about or what’s potentially at stake. More on this below. The vast majority of Americans know virtually nothing about Iran, its history, culture. They’re the most over-entertained, uninformed people anywhere – despite easy access to online and other ways to understand major issues touching their lives directly, as well as learn how their government at all levels betrays them. They’re easy marks for relentless propaganda. In the case of Iran, 36 years of unjust demonization. Why? Because of its sovereign independence. Because Israel wants its main regional rival eliminated. Because Washington wants control of its vast oil and gas reserves, more territory for its empire of bases, millions more people to exploit. The Iran nuclear deal, if it holds, lessens the chance of greater regional war. At the same time, America’s odious history of breaching deals means nothing is written in stone. Three weeks after agreement in Vienna, Iran’s ambassador to the IAEA filed a complaint stating Washington already breached it. Tehran’s complaint calls Earnest’s threat a “material breach of the commitments just undertaken.” It explains Joint Comprehensive Plan of Action (JCPA) terms don’t give Washington a back door way to get intelligence on Iran through the IAEA. Ahead of the Iran deal, Obama “reaffirmed (his) ironclad commitment to the security of our Gulf partners,” meaning more weapons for Saudi Arabia and other regional rogue states already heavily armed and dangerous. More for Israel is planned – increasing the chance for conflict. Former Undersecretary of Defense for Policy Eric Edelman urged Senate Armed Services Committee members to increase America’s Middle East military footprint – despite its overwhelming belligerent presence. Irresponsible anti-Iranian propaganda convinced most Americans to oppose what they should overwhelming support. A new Quinnipiac University poll showed US voters against the nuclear deal almost two to one – 57 – 28%. A similar percentage said it’ll make the world less safe. A new NBC News/Wall Street Journal poll showed 35% support, 33% against, another 32% with no opinion. Opposition doubled since June (17% to 32%). A late July CNN/ORC poll found 52% against to 44% in favor. With weeks to go before Congress votes up or down on the deal, continued intense anti-Iranian propaganda may turn greater numbers of Americans against it. Whether enough to build a two-thirds negative congressional majority to override a near-certain Obama veto remains to be seen. On Tuesday, he met with Jewish leaders at the White House to enlist their support for the deal. He outrageously warned of possible US war on Iran if Congress rejects it. US war plans on the Islamic Republic have been in place for years. Attacking its nuclear facilities means implementing them, assuring a retaliatory response in whatever way Iran feels it best serves its interests. 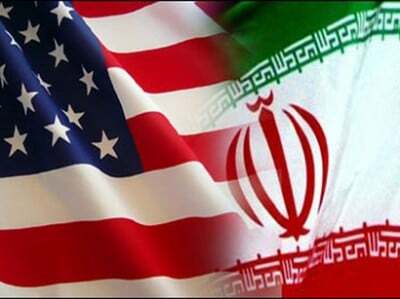 Threatening war with nonbelligerent Iran after consummating a deal to prevent it shows US policy toward the Islamic Republic remains unchanged – as hostile as ever with regime change still the key objective.